Web entry forms for Advancing Care Information (ACI) and Improvement Activities (IA) categories reporting. However, Reg-ent has a much broader purpose than regulatory reporting alone. 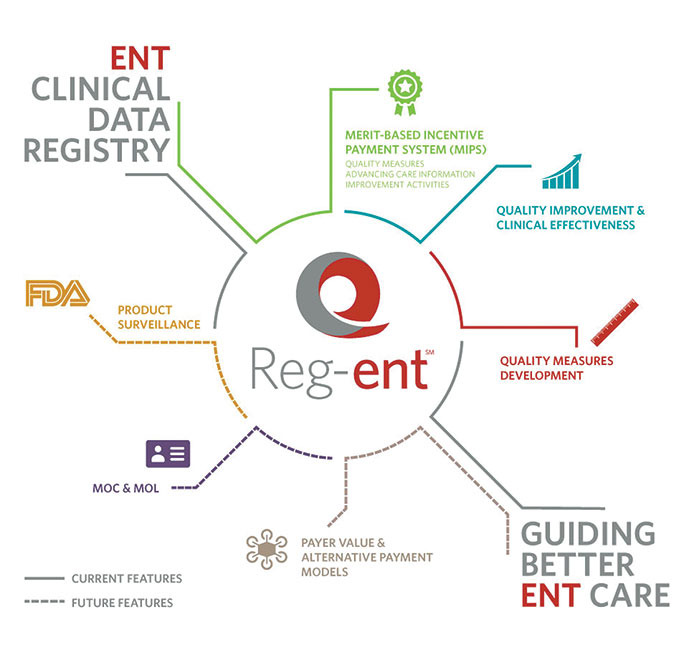 Reg-ent is an otolaryngology-specific clinical data registry that will become the foundation for quality reporting, measures development, quality improvement, clinical and product research, and support for maintenance of certification and licensure. Make sure to stop by the Reg-ent booth at the AAO-HNSF 2017 Annual Meeting & OTO Experience in Lakeside Level 3 E of McCormick Place from Sunday, September 10, through Wednesday, September 13, to learn more about the future of Reg-ent, including Maintenance of Certification Part IV, Research and Product Surveillance. Join us for the Reg-ent Miniseminar being held after the Opening Ceremony on Sunday, September 10. Still need a solution for MIPS 2017? Start early. 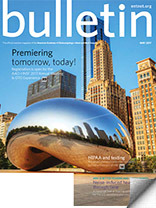 The ramp-up time to prepare practices and secure measures data for quality reporting is dependent upon the EHR solution in place within each practice, the level of cooperation of the EHR vendor, and the timeliness of both the vendor and the practice in following up on deliverables assigned during the data mapping process. We urge everyone to start now by visiting www.reg-ent.org and clicking on the Get Started Now button to execute your contract. All practices and clinicians interested in reporting MIPS via the Reg-ent registry must have signed contracts in place by July 15, 2017. What? No more course tickets?